The oversize glass window is clearly clutter free, allowing unrestricted views of the lush gardens in the background. Place a long padded white mattress on top of your white wooden bench. 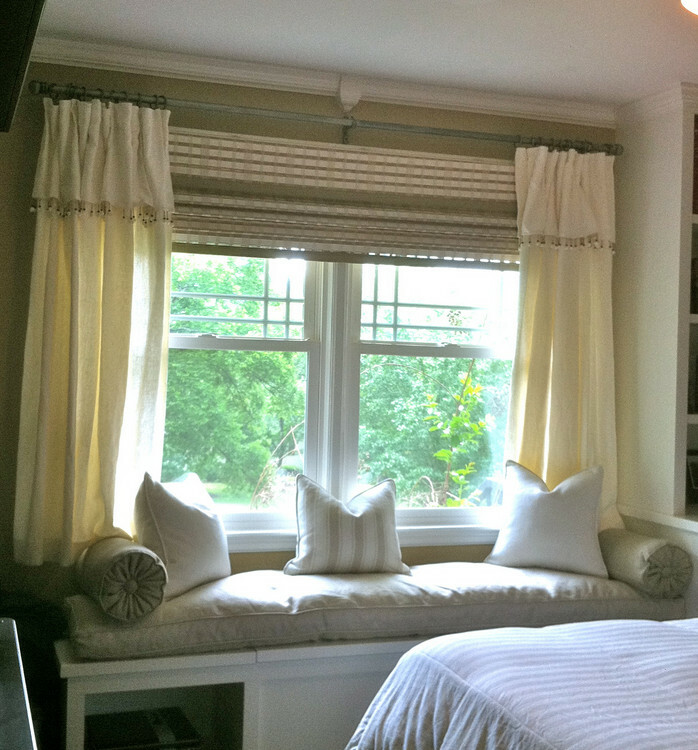 Put a white rectangular pillow and a darker-tone bolster pillow on each edge of your bench and a stripped rectangular pillow in the middle. Set up two cream-yellow curtains to tone down the white bedding, cushions, walls and ceiling.